Traveling is my passion-and what better way to fuel it than to watch movies about travel. I'm not really into movies, especially movies that are nonsense- for me, it's just a waste of time. But if it's about my passion-like travel-I want to give it a try. So last October, during our semester break, I downloaded travel movies since it is vacation and I didn't travel during that time. So I just stayed in my pad and watched travel movies. And these are my favorites in no particular order. 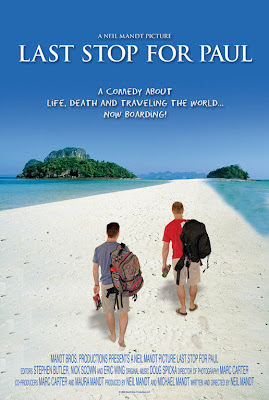 A must-see movie for every backpacker in Southeast Asia. It is from the novel of Alex Garland with the same title. A backpacker went to Thailand and eventually befriended fellow backpackers on the road which led them to a secret beach. Khaosan road, the Mecca of backpackers in Southeast Asia was featured in this movie. But I heard It was shot in Manila. The set of their paradise beach is in Maya bay, Koh Phi Phi Leh in Southern Thailand. One of the most beautiful beaches in the world. A real paradise. (Especially, pre-mass tourism influx period). A documentary film about backpacking. A film producer quit his job in New York to travel around the world. He really did travel solo around the world, bringing his video camera with him to document his trip. From US to Australia to Asia, Europe, South America and then back to the US. He did it in one whole year. This documentary features life of backpackers, the separation anxiety that travelers experience, befriending people on the road, hostels, and a traveler's daily life. It contains interviews of different travelers. The title portrays that in backpacking, it is like, everyday is a weekend. No responsibilities, and no deadlines. 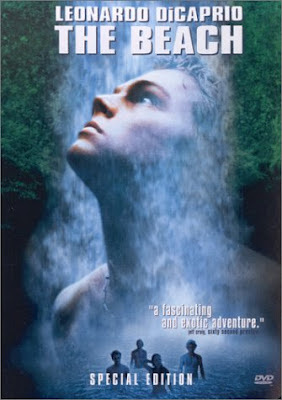 This movie portrays the beauty and dangers of South America. How travelers meet up, and the making of a trail instead of following one. One of the most touching, most meaningful, most informative movies I have ever seen. After watching this movie, you will tell yourself that no time was wasted in doing so. 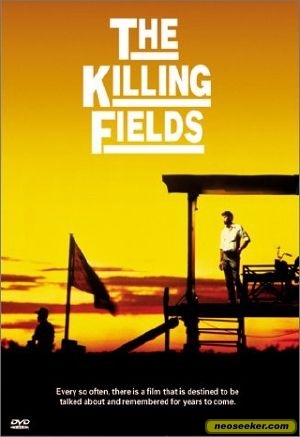 It's a true story about Cambodia-how it suffered from the hands of the brutal communist leader Pol Pot. By watching this movie, you'll understand a bit Cambodia's history and you'll have compassion for the Khmer people, knowing how they suffered before. An American journalist with his photographer went to Cambodia to cover the war. They had a local guide with them, which eventually was held captive by the Khmer Rouge. It's a story of friendship, heroism, and loyalty. A traveler, who is working as a call center agent or a telemarketer always convinces his officemate to travel with him. He explains the benefits and fun of travel-to convince his officemate to travel with him-but to no avail. Then one day, a tragedy happened. The best friend of his officemate died. The dream of his office mate's best friend is to travel around the world. So, that made his officemate decide to go on a round the world trip; to spread the ashes of his best friend around the world. Their journey brought them to Jamaica, Chile, Greece, Germany, Japan, Vietnam and the full moon party in Koh Pangan, Thailand. A hilarious yet meaningful movie. Oh by the way, this is based on a true story. Another great travel and history movie. It's a true story of an Austrian mountaineer who went to Pakistan during world war II to trek the Himalayas. But because of the war, they were brought to India as captives. But fortunately they escaped, and hiked all the way to Tibet. 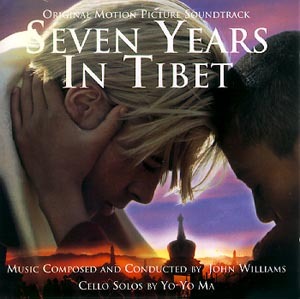 In Tibet, they befriended the Dalai Lama, the spiritual and political leader of that peaceful community. Everything was going fine until China attacked Tibet and forced them to be part of their communist country. This movie is an eye opener to everyone. A true story about a teen who left home, donated all his money to charity, and hitch-hiked all over America going to Alaska. He's tired of seeing his parents always fighting and how money is the center of most people. So he traveled instead and enjoyed the nature and the company of people he met on the road. This movie shows the beauty of wild Alaska. Let's have a little break from backpacking. This is flashpacking and glampacking at its best! This is my dream life. You are paid to travel. 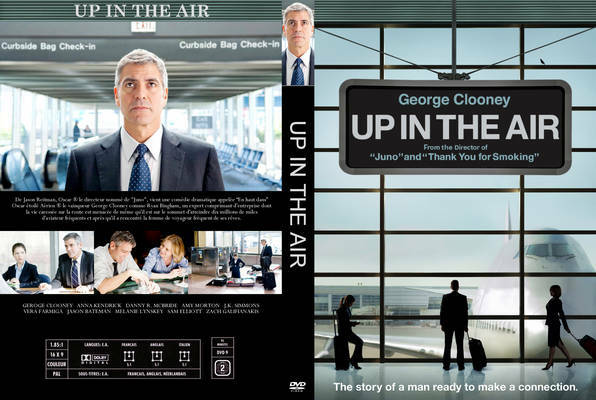 Starring George Clooney, it portrays a life of boarding planes regularly and sleeping in 5-star hotels. Awesome, huh? I liked how Clooney acted in his travels; so relaxed and always smartly dressed. 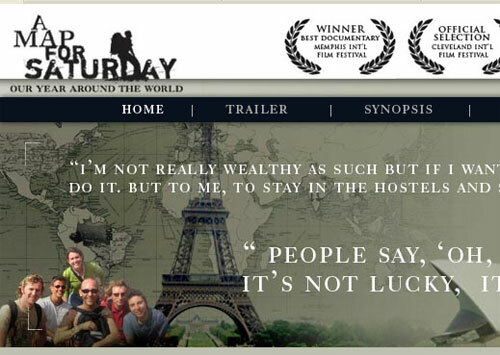 An inspiring movie for business travelers, jetsetters, and glampackers. Two friends, a medical student and a chemist, decided to explore all of South America, and go to a leprosy village in Peru. Their mode of transportation? An old motorcycle. Their journey was full of adventures. 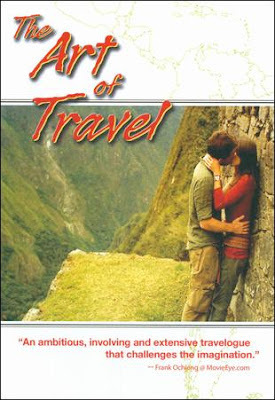 The beautiful South America was featured in this movie. Chile, Argentina, Peru, Venezuela. And through their travels, they saw the unfairness of the government to its people. The rich exploiting the poor. A very exciting and inspiring movie indeed. A must-see if you love road trips. And take note, this is a true story. What are some of the travel movies that you would recommend? 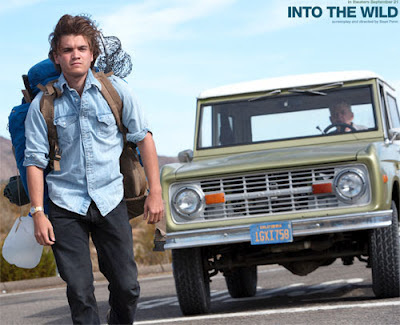 James, i remember you while im watching "into the wild"
OMG! I haven't seen a single movie from your list! Like you I am not fond of movies (and watches only Tom Cruise and Ben Affleck's movies) so I'm clueless. Thanks for sharing. Maybe I will start with the Art of Travel and Up In the Air! The Art of Travel is really good... Thanks for dropping by. Niice! Some of my faves like into the Wild and Up in the Air are in your selection. Thanks for sharing! Im looking forward to watch the other films you mentioned. I have already watched 3 (A map for Saturday, Into the wild, Beach). I excited to watch the Art of Travel, Killing Fields, and & Years in Tibet. Parang interesting sila lahat. You're welcome Darwin. I really want to share this especially to fellow travelers because I was really inspired when I watched these. I hope you'll watch all of these. Now you know what's funny? I have never heard or watched any of the movies you just mentioned. Haha. But thank you very much for sharing though. Atleast I'll be able to Google it and maybe watch one or two during my free time. by creditors payday loans no credit check when christmas approaches, people feel tremor within their wallet.